I think I’ll be less scared of temperate climate fruits now. I grew up with tropical fruits, which are generally either too expensive in the US or not as good as what I grew up with. On a day to day basis, I just eat apples because I know which apples are usually sweet (Fuji Apples! ), and if they’re sour then peanut butter is a great fix. But other fruits (plums, pears, nectarines, peaches) I don’t know very well, and when they’re good, they’re wonderful, but more often than not they’re too sour for my liking. I just need to get used to the idea of cooking my fruits so I can branch out some more. I love banana bread! 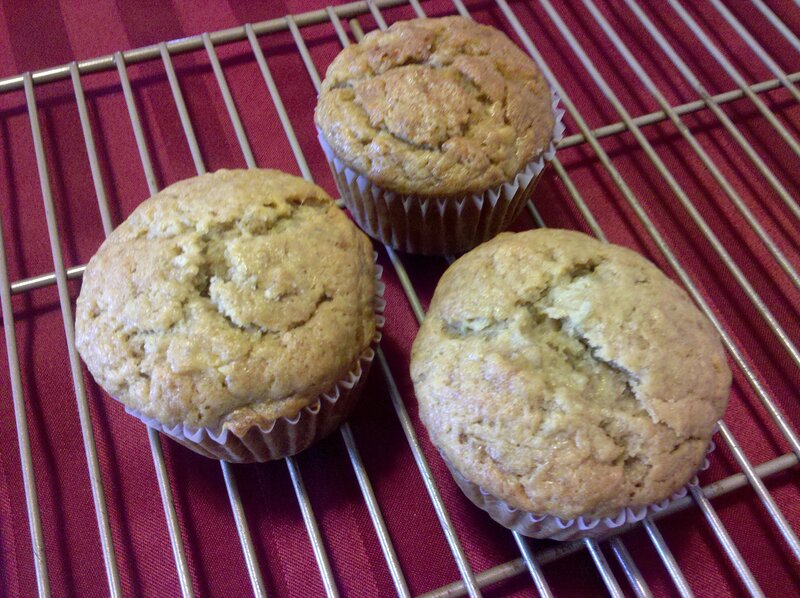 I love banana muffins even more because they’re no slicing involved and they freeze beautifully. Last year I would pack them for lunch all the time. Just pop them in a tupperware and by lunch time, they’re defrosted and ready to eat! I like my banana bread with a ton of banana in it, really dense and moist. These came out close to what I wanted, but I think they could have used at least another banana or two (I used six total) and I wish I could get my bananas riper without breeding a bunch of fruit flies in the process. As is, I think next time I’ll freeze and thaw all my bananas, because they become perfectly mushy and easy to mash afterwards. As is, I get more chunks than I want. Still tasty, but not ideal. In the idea world, I would always have banana muffins and at least one other baked good in the freezer. Living with someone has seriously cut back on my available freezer space, but thanks to our new chest freezer, I can go back to stocking food. I’m a lazy eater so it’s really helpful to have healthy things that I can easily eat. Soups, Chili, Muffins, Quiches and Burritos are the things I usually make and freeze. I really missed having these things on hand all the time, and I’m excited to start making them again. sour cream helps in banana bread. that’s what gator uses. I know about baking it into things, but I’d never seen it used as a topping before. i was sorta referring to the when youd on’t have enough bananas and want really moist bread. Ah, k. Not the effect I’m looking for, though. I specifically want it to be really banana-y. 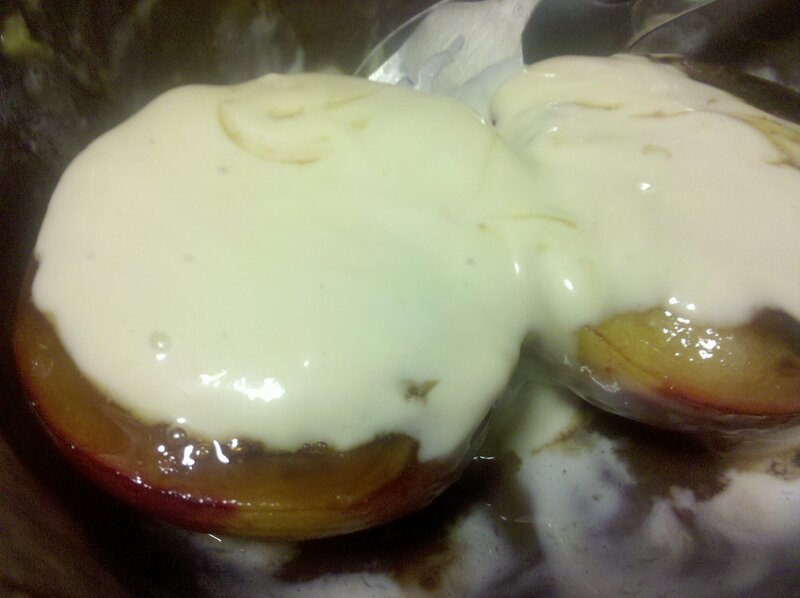 Like, the ones I made are moist enough for my liking, but I want them to have more banana. ah. too much banana makes me feel sick. i think that’s why i can’t eat over ripe bananas. EVERYTHING IS BETTER IN CUPCAKE/MUFFIN FORM. They should teach this in Sunday School as a fundamental truth.